The mobile device penetration is forecasted to reach up to 67% of the total world population by 2019. Digital Marketing has so many success stories to tell. It carried the brands together to become part of a huge technological revolution. Its possibilities are unlimited and will only grow in the coming years. 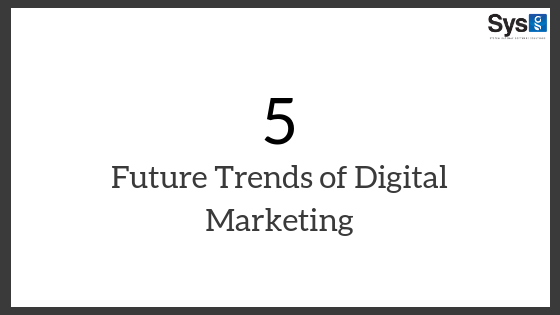 Top five Digital Marketing Trends are as follows. AI-powered Digital Marketing will redefine every conventional principle involved in branding. Big Data analytics and Machine learning find out hidden business opportunities within and allow to personalize marketing efforts to reap the benefit. AI will revive content development efforts and analytics will expose marketing sweet spots. The mobile device penetration is forecasted to reach up to 67% of the total world population by 2019. More than 29% of E-commerce sales were done using mobile devices in 2017. Geolocation Ads and device targeted Digital Marketing will leverage brands and reach to potential audience. It is evolving day by day. When Facebook was launched there were only a few options for marketers. What about today? Facebook has a dedicated strategy to elevate brands and their offerings. Similar goes to all other social channels on the web. Its possibility will only go high as we go further. Now several tools with AI capability were also made their presence to leverage Digital Marketing efforts on Social channels. The reports are important since it stores every data about the past occurrences. It gives a clear view of how your business performed and what strategies need to adapt to bring betterment. I was talking about the reports we used to see and measure. Now, the reports are not just any copywriters who just track and record events. The AI-powered reports can not just record, it also forecasts future events. AI analytics reports in Digital Marketing plays a lead role to make decisions and strategize Digital Marketing activities. Digital Marketing has to be done using various channels available digitally. It's a simple logic and relying on just one or two does not bring any positive results. 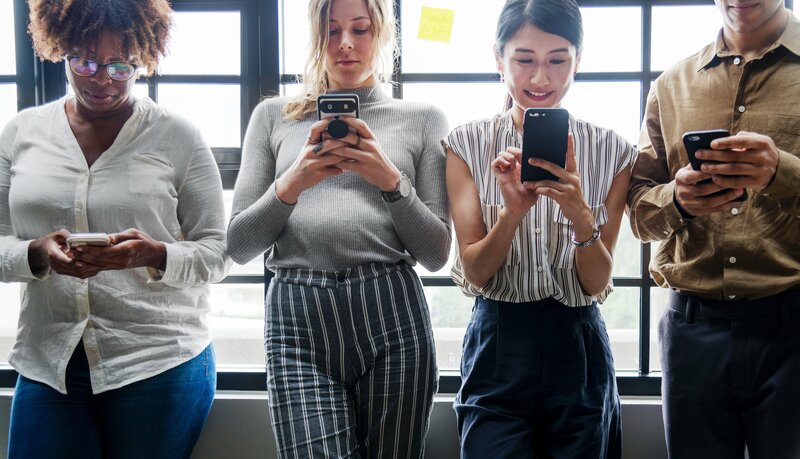 Leveraging cross-channel platforms with educative digital content will turn out to be the perfect recipe for digital audiences. Why is it important to set up a live chat experience on your website? 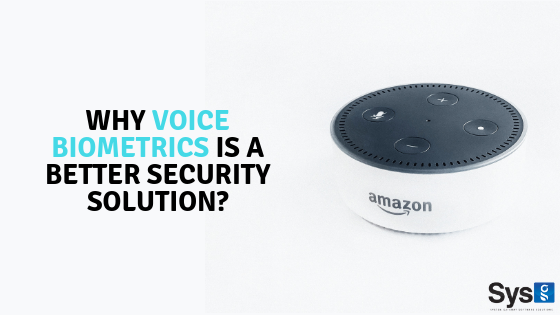 Why Voice Biometrics is a better security solution? How Digital Marketing Increases Foot Traffic To Your Retail Business? 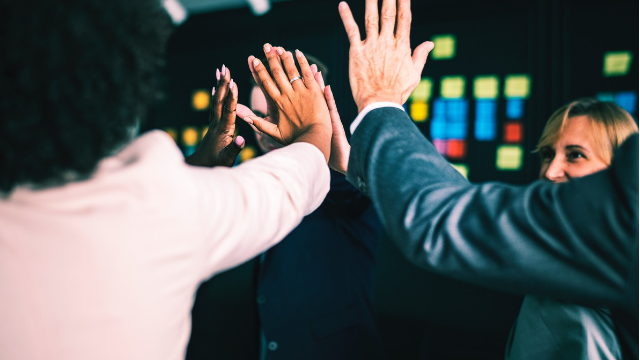 SysG Soft is a Project Management and Software Development company with 10 years' experience, 100+ experts and operations in Ireland. We started our journey in 2008 with a vision to deliver flexible and web-enabled business applications using latest technologies. Powered By - SysG Soft Technologies Pvt. Ltd.